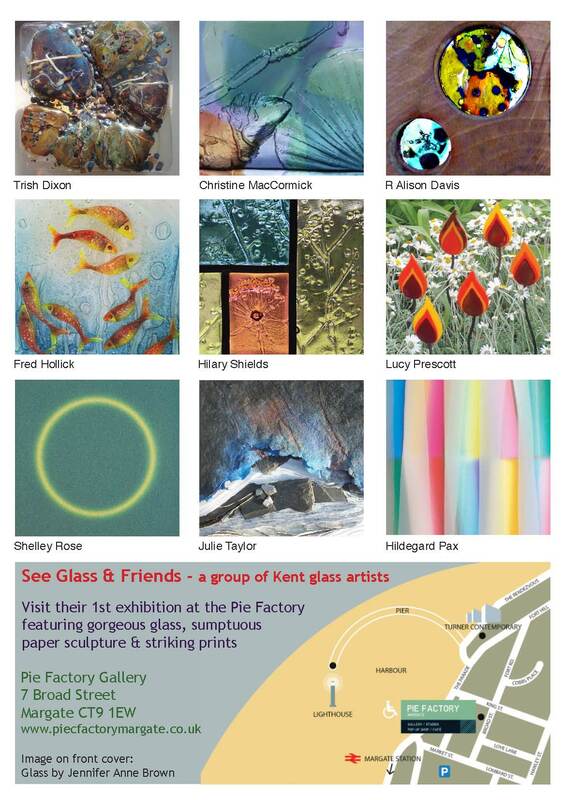 CSM Glass Alumni Christine MacCormick, Jennifer Anne Brown and Hildegard Pax will be showing recent work in the exhibition ‘Light, Colour, Texture’ at the PieFactory, 5-9 Broad Street, Margate CT9 1EW from 17-29 April 2015. 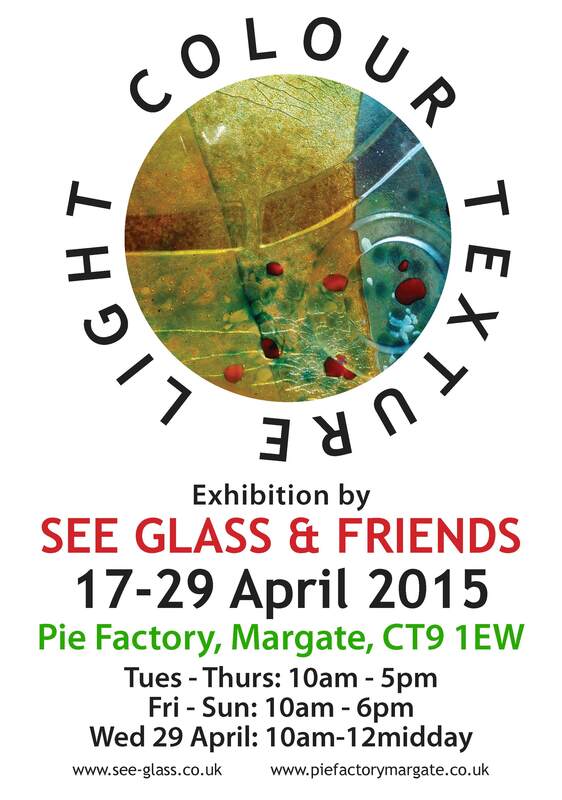 This entry was posted in Uncategorized and tagged csm glass, CSM glass alumni news, Glass exhibition, SeeGlass. Bookmark the permalink.